We offer financing. Call us at 330-923-4944 for details. Any Ohio resident is all too familiar with how cold the winters can be. In Cuyahoga Falls, that winter weather can become a big problem if your home heating system isn’t up to par. We understand that at C Lee Services, which is why we offer home heating solutions for your central heating systems, furnaces, and more. There are several things that can lead to the downfall of a home heating unit or furnace. For one, you may not be giving your home heating system proper and consistent maintenance. HVAC appliances are oftentimes an afterthought, and many property owners neglect maintenance steps like cleaning the inside of your ducts or vacuuming out the your dryer vent. Not maintaining your heater can cause poor comfort levels, high energy bills, and may lead to premature repairs or replacements. You may be experiencing complications due to a clogged or dirty filter, which can cause a lack of circulation and airflow. Lack of airflow can also be caused by failing of the system’s belts, bearings, ducts, and fan motors. These malfunctions cause your system to overheat, which can make things more complicated to repair. Additionally, you could have faulty or leaky ductwork, which may be totally invisible to the average homeowner. That’s why it’s so essential to call a professional from C Lee Services to come check your ductwork to make sure it’s in proper, functional condition before the cold season hits. Here at C Lee Services, we offer plenty of services concerning your HVAC system. Because we offer new systems, if your old system is beyond repair, we can recommend the best options for you according to your budget and use of your HVAC system and install a new one for you. As for repairing and maintaining older systems, we’re happy to complete annual or even bi-annual inspections, install a high-efficiency air filtration systems, and inspect or repair your old ductwork. If your ducts require cleaning we can clean them, and if they need replacing we can do that efficiently and with as little disruption to your daily life as possible. With our upfront pricing, no hidden fees, and professional, courteous employees, we’ll be sure not to impede your home’s functionality for long. 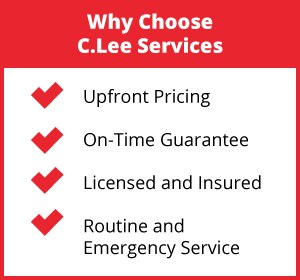 C Lee Services aims to be the one company Cuyahoga Falls, OH needs for home heating, plumbing, and sewer repair. That’s why we offer a variety of services and maintenance tools for you to utilize. We offer routine maintenance and emergency services, as well as an on-time guarantee. We never hesitate to offer upfront pricing and there are no hidden fees on our invoices or receipts. We’re fully licensed and insured, and all our employees are always learning new things on the job and off the job. Never hesitate to call us for anything - we’re here for you. 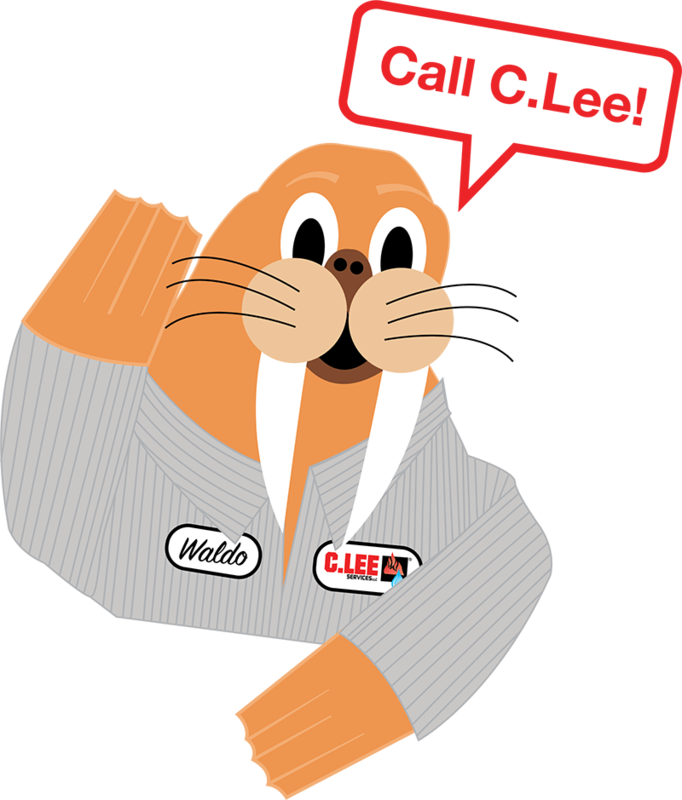 Call C Lee Services at (330) 923-4944 today for your home heating repairs, replacements, and inspections. Do I Have to Be Home? We typically request that our customers, or an adult at the very least are home to grant us access to the pipes as needed, but they do not need to be home for the entirety of our visit on their property while repairs are being finished. Will I Need To Move Furniture? Normally we won’t require our customers to move furniture or household items, but if there are a lot of items blocking access to the pipes, we will need to move some of them out of the way. How Long Will You Need To Fix My Pipes? The time needed to finish our work is will be defined based on the damage we find in the pipes, and repairs can be as short as a few hours or a couple of days depending on what is required of our team. When Do I Pay For Your Services? Customers will pay us for our repair and cleaning services after we finish our work on their property. In addition, we offer options for financing as needed. 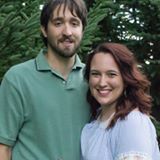 Copyright © 2018-2019 CLeeServices.com. All Rights Reserved.